Hooks, lures, and nets make up the fishing gear that would allow the Lindberghs to catch their dinner. 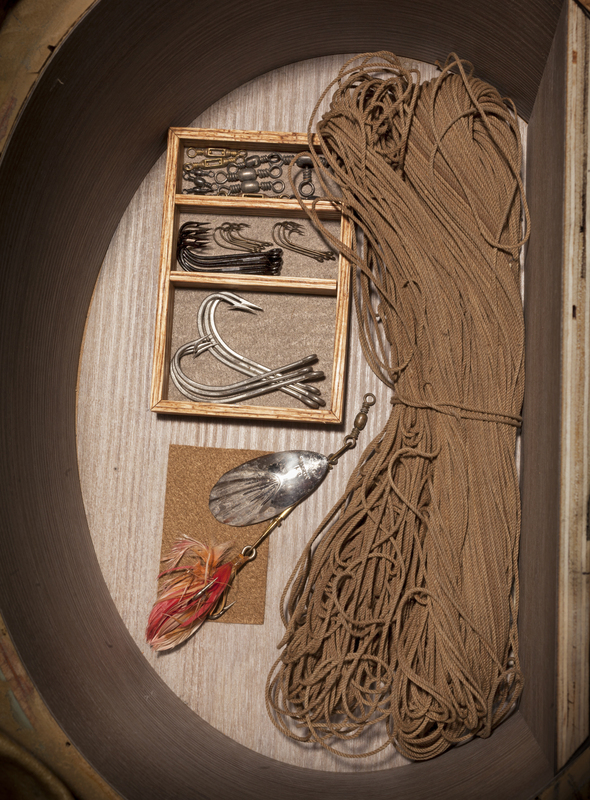 These items are all used for catching fish. Hooks, lures, and nets were important equipment. If the Lindberghs had to make an emergency landing while flying over water, they could catch their dinner using this gear. Photo by Eric Long, Smithsonian National Air and Space Museum (NASM 2014-04805).